My go-to hair care system has always been WEN by Chaz Dean. The system is fabulous, but it can take a very long time to cleanse while in the shower. Some nights I just need to wash and go. 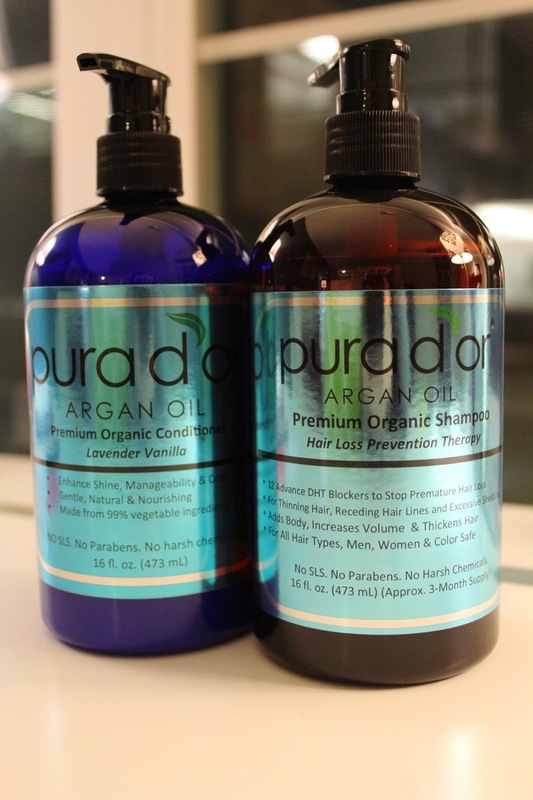 I've been using basic drugstore brands as my quick fix when necessary, but I had an opportunity to test out a natural, cruelty-free Argan oil-based shampoo and conditioner by Pura D'Or. 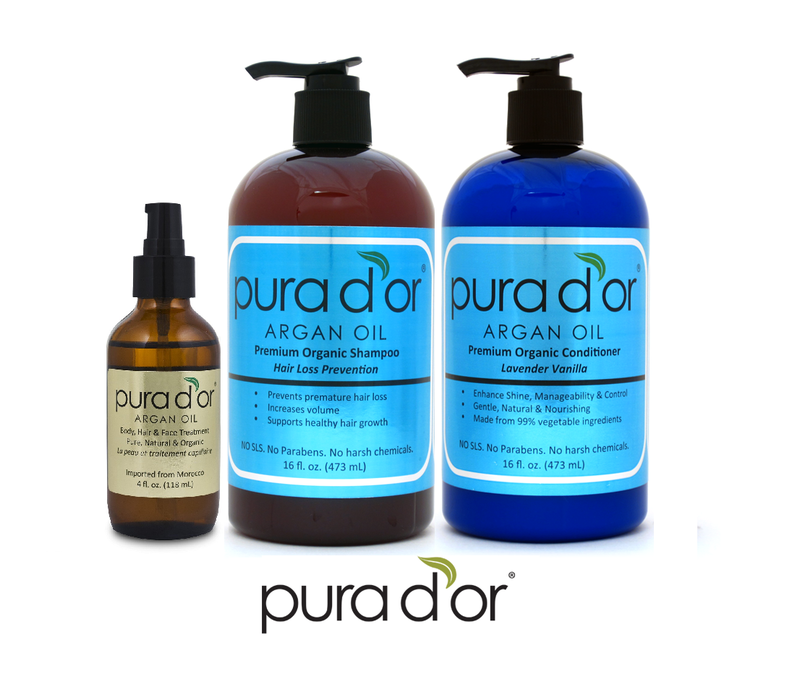 Pura D'Or's shampoo is traditional in the sense that it lathers, unlike WEN. I tested the Hair Loss Prevention Therapy shampoo. It is extremely clean smelling and fully lathers with one pump. Even though it is oil-based, it does not leave hair oily at all. I would even venture to say that it is a bit drying, so a conditioner is absolutely required. It is comparably priced to high-end hair care, around $25-37, but is available on Amazon. I adore the Lavender Vanilla conditioner I got to try! The smell is amazing, and it leaves my hair feeling super nourished without hair fallout. It is priced from $24-28, and also available on Amazon. This 100% cold-pressed pure argan oil is a great dupe for the Joise Maran argan oil, and it's half the price and twice the amount. It can be used for a variety of purposes, but I primarily use it as a cuticle oil and mix it with my First Aid Beauty Ultra Repair Cream for my super dry wintery skin. Initially, my hair was voluminous and perfectly cleaned. However, about a day later, my fine hair appeared and felt super greasy. I will continue to use the shampoo and conditioner intermittently, but recommend these products for thicker hair. I think it would do wonders for drier hair, which I do not have. The pure argan oil is a definite buy, since it can be incorporated into a number of current beauty routines. Thank you for reading Right to Remain Fab's latest post. Please like, share and subscribe! I appreciate all your love and support.